We’re the LGBTQI Scottish Country dance group for Edinburgh and the surrounding areas. 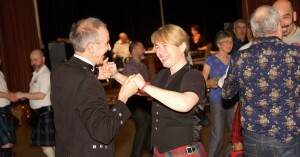 Interested in ceilidh and Scottish country dancing? 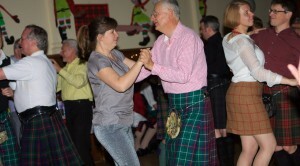 We have social dancing with tuition on Monday evenings in Edinburgh. It’s good fun… and your first time is free. There’s a video here. We meet on Monday evenings from 7.30pm at St Ninian’s Hall, Greyfriars Charteris Centre (formerly Kirk O’Field Church), The Pleasance, EH8 9RR. STOP PRESS: The current term is in full fling, but dont feel you need to await the start of next term as new members are welcome any night, even if complete beginners and the first night is free! Our current term dates are here. Please feel free to come along any Monday evening. Beginners are always welcome.